If you’ve heard about stoic philosophy, you’ve heard about Seneca. Stoicism is in many ways about being indifferent to pleasure or pain. One thing that’s pleasurable is getting free things. Free things like Facebook. After the Cambridge Analytica scandal, the mainstream is really waking up to the true cost of “free.” If something is supposedly “free,” you’re paying for it in some other way, whether that’s with your data, or just the opportunity costs of your attention. As you’ll see, even Seneca knew that almost 2,000 years ago. I’ve of course talked many times on this podcast about the broken economics of media. 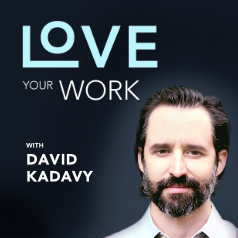 With Nir Eyal on episode 21, also on episode 22 when I talked about The Behavioral Revolution, and many many other times. I wrote this article two years ago, but with everything going on in the collective conscious, I thought it would be a good time to dig it out and share it on the podcast. It might help you reframe the idea of “free” in your mind, and make smart choices that make you the person you want to be.